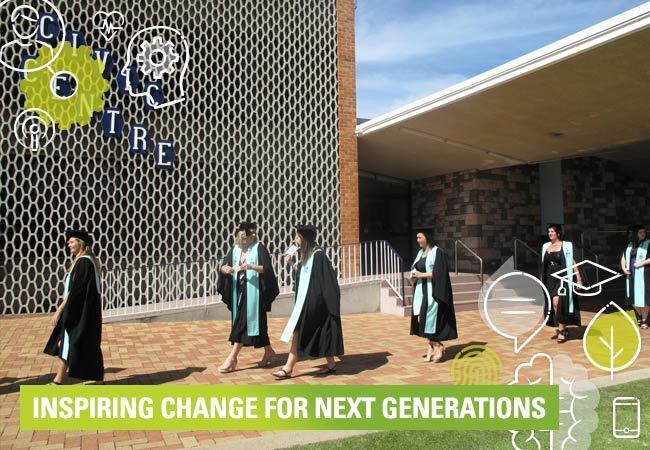 CQUniversity offers a range of opportunities for alumni to stay involved with our activities and programs, and increasingly, these initiatives include social innovation. CQUniversity’s “Be Involved” program invites alumni to share knowledge and experience as mentors or guest speakers and lecturers, join local networks, committees or boards, sponsor events, or be an employment or job placement provider. Specific social innovation opportunities include presenting at our Social Innovation Series, bringing an industry or community perspective to our Social Innovation Workshops and mentoring our student participants in The Big Idea. If you already work or volunteer within the social enterprise sphere, CQUniversity’s Social Innovation Advisory Group would also welcome your input. To begin your relationship with CQUniversity’s Office of Social Innovation, email socialinnovation@cqu.edu.au – we look forward to changing the world with you!